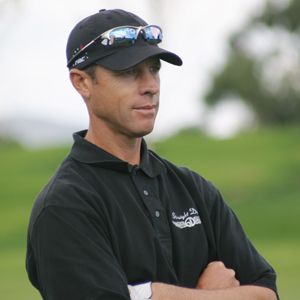 Jeff is one of the few former PGA Tour players’ now teaching and coaching golf. While his best known student is Hall of Fame member and Solheim Cup Captain Juli Inkster, he teaches a wide variety of players including LPGA players, Mini Tour Professionals, College players, and hundreds of amateurs. Born in June 1963, Jeff attended the University of the Pacific. Following graduation, he turned Pro in 1986 and began pursuing his dream of competing against the best players in the world on the PGA Tour. Playing Mini Tour golf, he won numerous events and in 1992 was named Golden State Tour Player of the Year. From 1993-1998 he played full time on the Nike (now Web.com) Tour, winning twice. For those six years, Jeff finished in the top 50 on the money list to earn a spot every year in the season ending Nike Tour Championship Tournament. In 1998 Jeff successfully qualified for the PGA Tour. There, he competed from 1999-2007. He was known as an elite ball striker as evidenced by his Total Driving rank of #1 in 2004. He compiled nearly $5 million in combined official tour earnings during his tenure. Many highlights over the years include two wins on the Nike Tour (1995, 1998), winning the grueling six round final stage of the PGA Tour Qualifying School (2002) and The Callaway Invitational at Pebble Beach (2004). Between 2008-2011 Jeff returned to the Web.com Tour and beginning in 2013 has played part time on the Champions Tour. Currently, Jeff spends most of his time focusing on his teaching. He takes great pride in the development of his Professional students, juniors, and amateurs of all levels. Jeff Brehaut lives in Los Altos, CA with his family and teaches mainly out of Sharon Heights G & CC, Los Altos G & CC, and his home studio. My coaching philosophy comes from experiences both as a young player learning the fundamentals, and as a PGA Tour player competing against the best players in the world. I believe what separates me from most instructors is that I have had the opportunity to learn elite skills and apply them at the highest level. 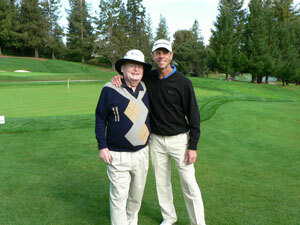 I feel fortunate to have also worked with and been influenced by some of the leading minds in the game of golf. As a tenacious student of the game myself, I am naturally curious about why the ball goes where it does and how as a player we can control it. I am equally inquisitive about how to get the most out of any game through mental skills and strategies. While still competing part time on the Champions Tour, learning and exploring better ways to score low allows me to bring an ongoing and fresh perspective to my students. Above all, I believe golf should be fun. Holing a long putt or striking a crisp iron still makes me smile. My goal is to make learning and playing golf more enjoyable for everyone. My mentor for the last 25 years has been Phil Rodgers (Golf magazine Top 100 Instructors Emeritus and Golf Digest Top 50 Instructors). Phil won 6 PGA Tour events and is regarded as one of the finest teachers in golf. He is the reason for my success on the golf course. I have also worked with three of the leading Sports Psychologists in the game, Dr. Bob Rotella, Dr. Glen Albaugh, and Dr. Gio Valiante. These men taught me the importance of practicing with purpose, developing a solid pre-shot routine, and teaching techniques to commit to shots and trust myself enough to let go. Mental toughness and confidence are mandatory for successful golf. I use the knowledge all these men imparted on me for my coaching today. Every student is different and has unique goals. My first job is to listen to the student and understand what those goals are. Once established, we can identify problems and find solutions. When watching a student, I observe grip, posture, ball position, body pivot, sequencing, club lines, wrist positions, sound of impact, divots, ball flight, rhythm and balance. I use video, Flight Scope, training aids and other technologies to help the student see and understand the areas of concern. My goal is to identify sometimes complex problems and explain solutions in a simple way. As the lesson progresses we will take new videos and compare the differences. After the lesson, we will outline a practice plan and I will send the videos and lesson keys for future reference. My passion is helping students build technical, physical, and mental golf skills in a fun environment. For my younger students, my intention is to also help shape their character and produce well rounded individuals.